We recycled some crayons this weekend. I really wanted to use my Ikea Silicon molds, but turns out they aren’t oven friendly. 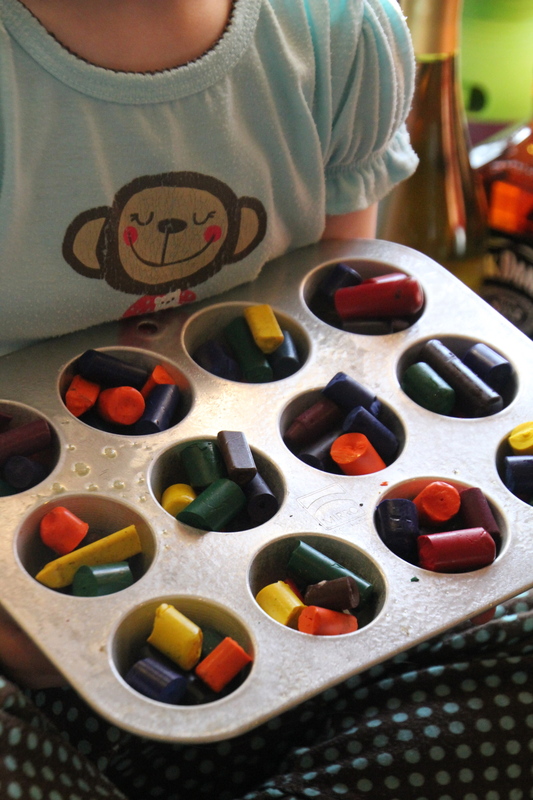 Instead I used my old mini-muffin pan. Daughter helped me peel the paper off the broken crayons. And Husband helped me break them into pieces. We baked them in a low oven (275 degrees) for about 10 minutes until they were melted. 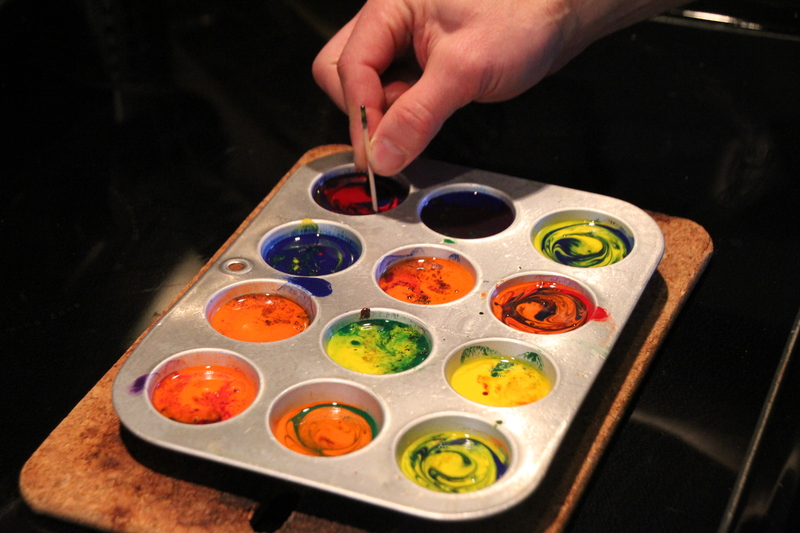 Then we stirred them with a toothpick to mix up the colors. 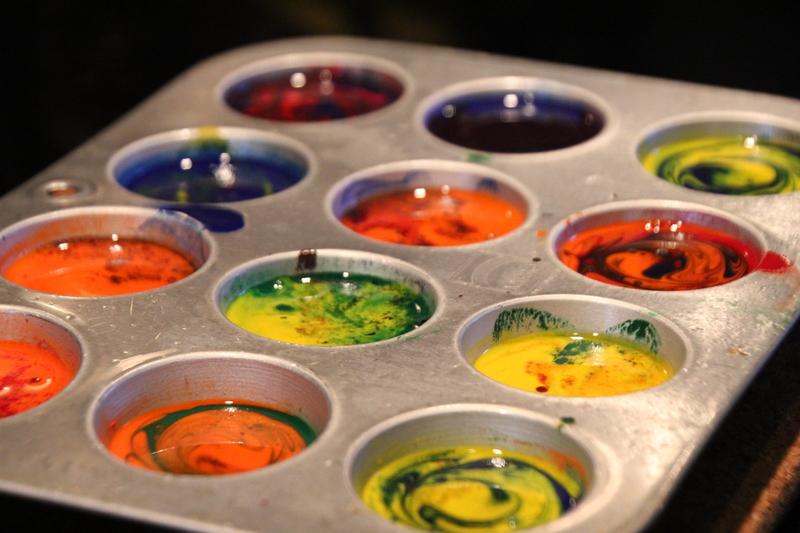 We thought it was pretty cool that they yellows and oranges came to the top and the darker colors were at the bottom. Either way they turned out really well and Daughter was excited to use them to draw her dinosaurs. Totally worth it. great idea!! Too bad I just threw a bunch out in my William Morris purge! Ikea molds not oven friendly? What are you supposed to use them for then? Ok that’s funny. I went thrift store shopping yesterday looking for wool sweaters to upcycle into artfest trades and guess what I bought?! 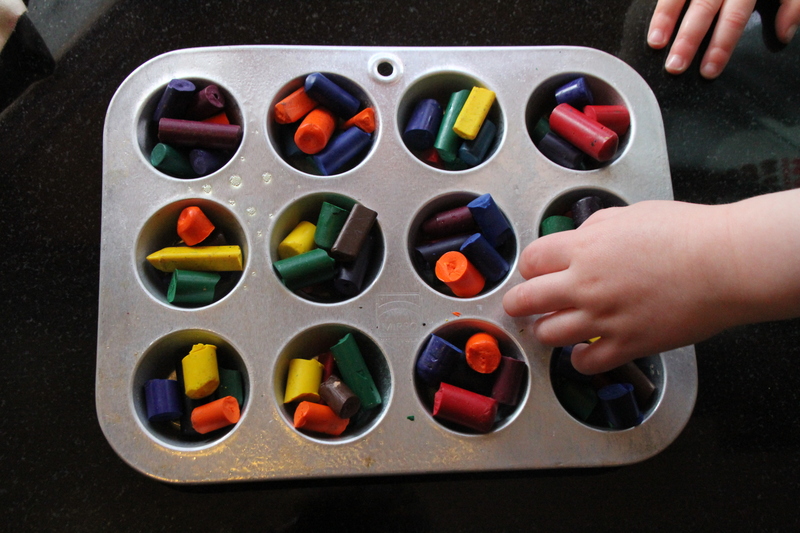 A mini muffin pan to melt crayons with Arlin! That’s it…no sweaters.